To help you understand new future clients' language, and to help you grow your business next year we have decided to launch a new office... on the Moon. Our astronauts have arrived in the Moon, put the flag there, and established an office. We want to build a close relationship with aliens, by providing localization services, and speaking aliens' language. And we did it! 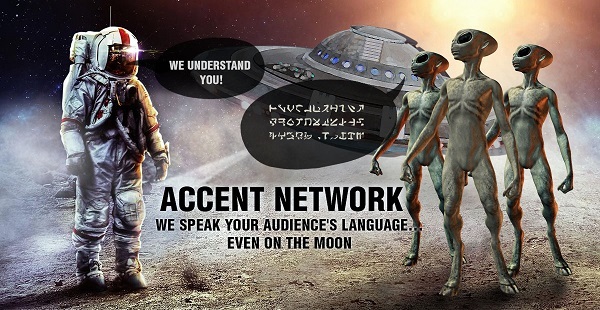 We've learnt aliens' language, and have already been providing voice-over services. So, if you are interested in voice-over, and localization services in any language ─including aliens', you know whom to contact! If you are interested in localization, transcription, voice-over, subtitling, video production services, you can request a Quick Free Quote.